This is a stunning premium range Sweet Plum twin bonsai composition, extremely elegant in appearance in lovely natural green pot with fluted corners. This bonsai has a wonderful character trunk and very pretty canopy. Overall very graceful and artistic. 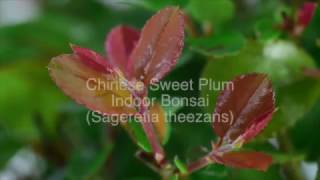 This is a lovely Sweet Plum bonsai composition, with natural green pot.